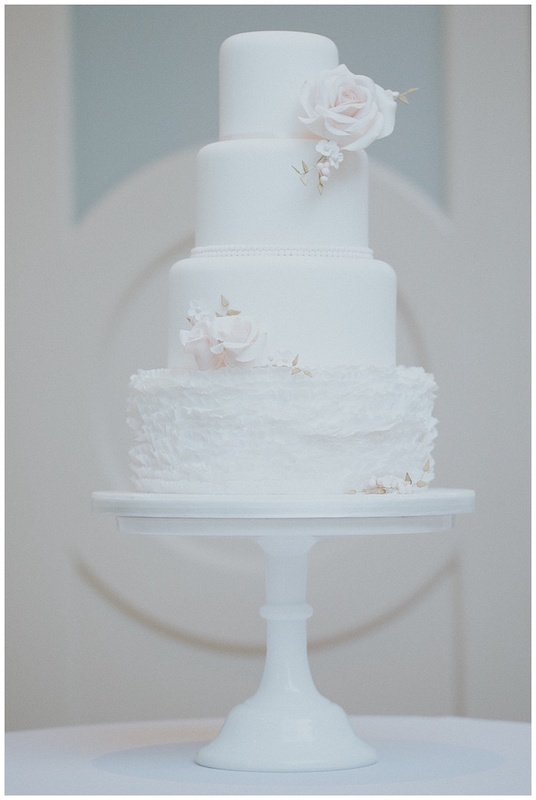 Today Gloria Darko from My Wedding Fixer talks us through this gorgeous wedding shoot at Littleton Park House. 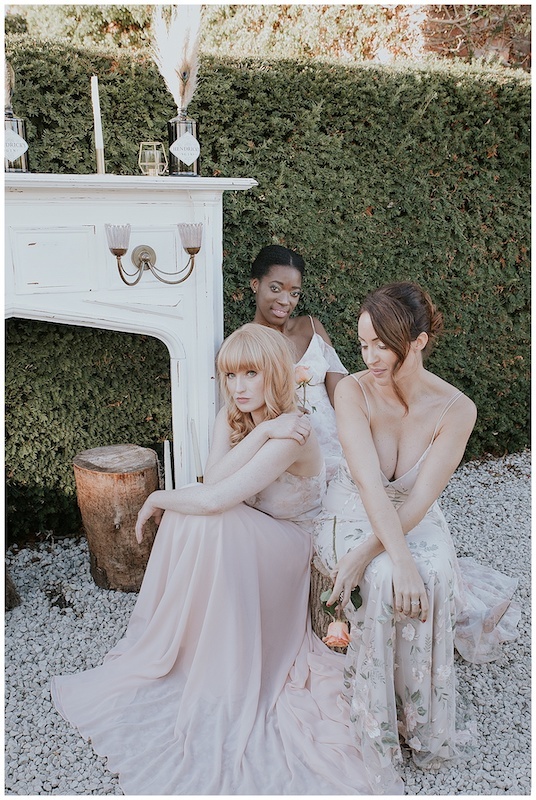 Littleton Park House provides the breath-taking backdrop for a wedding inspiration shoot combining nature and romance. 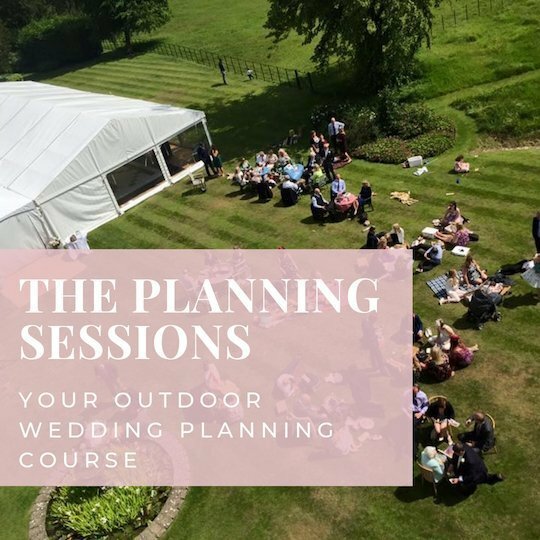 The concept brought to you by My Wedding Fixer, a London based Wedding Planner, is beautifully complimented by a group of wedding vendors to inspire couples looking to celebrate their love with chic accents, laughter and fun. 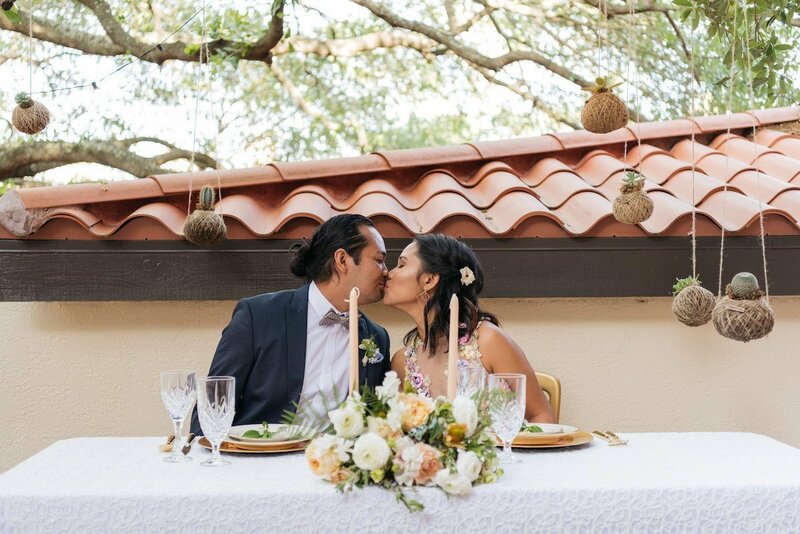 By tying in greenery and natural styling, our design goal was to provide warmth and shared experiences that would create cherished wedding memories. 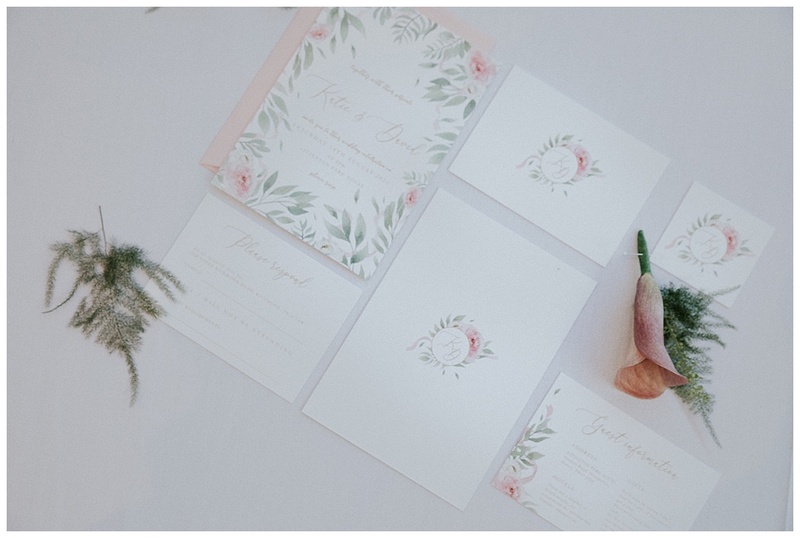 Full of romance and natural beauty, the shoot captured by Lidia K of Love in Bloom Weddings celebrates the beautiful love story and joys of nature. 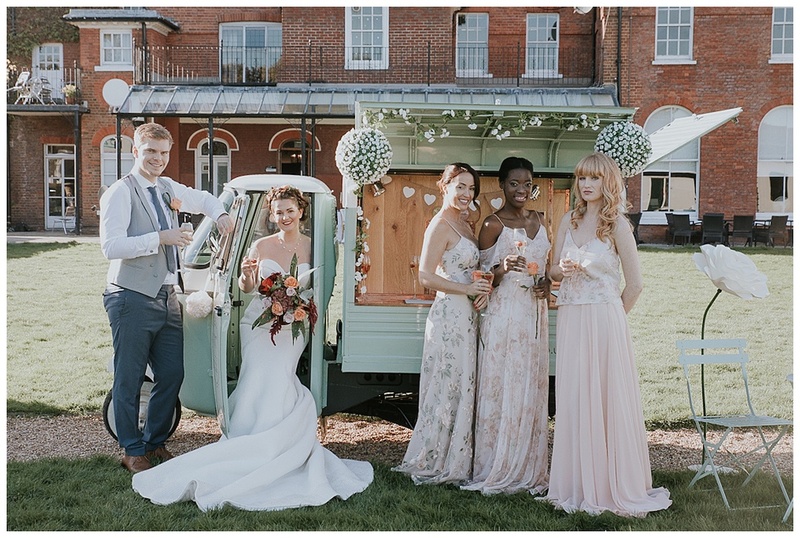 Our Bride and Groom for the day were Sophie and Dave. 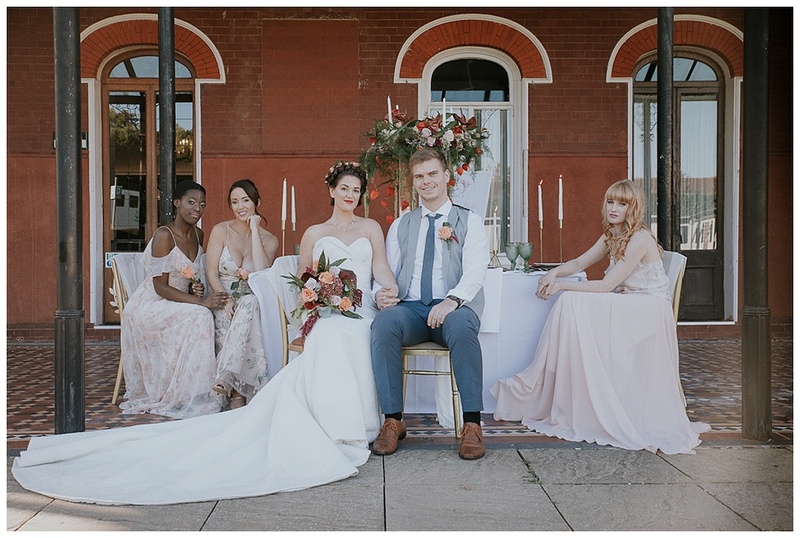 They both had real chemistry together and beautifully embraced their romantic love story within this Nature and Romance inspiration shoot. 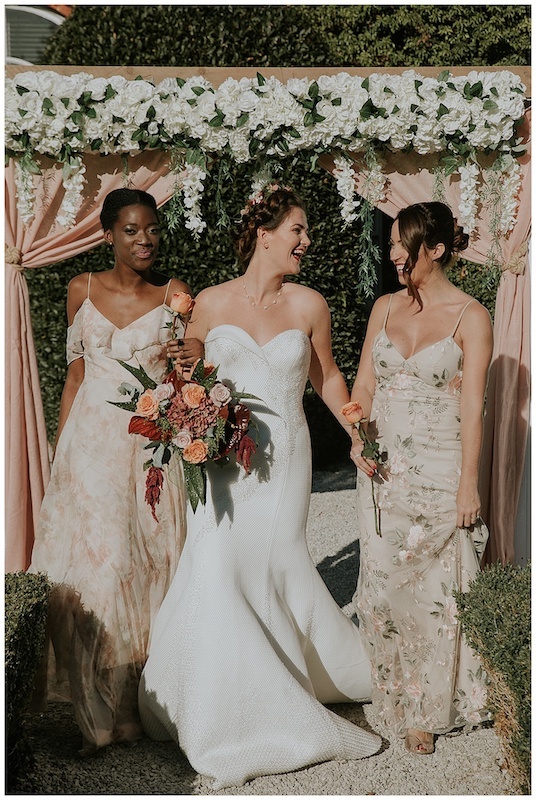 The Bridal wedding dress by Jacqui James, created a look that would appeal to any modern bride with its intricate beading and full texture. 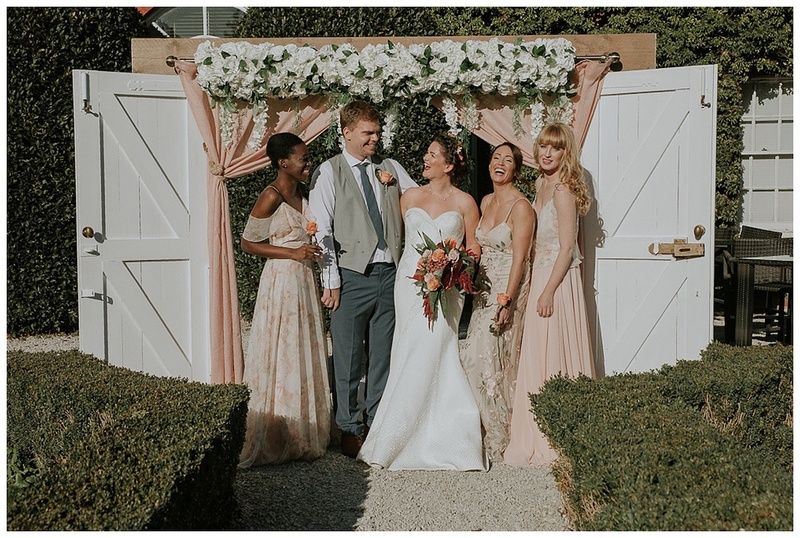 Stephen Bishop Suiting completes the Groom’s look with navy blue suit trousers and grey waistcoat, perfect for a modern look and relaxed day. 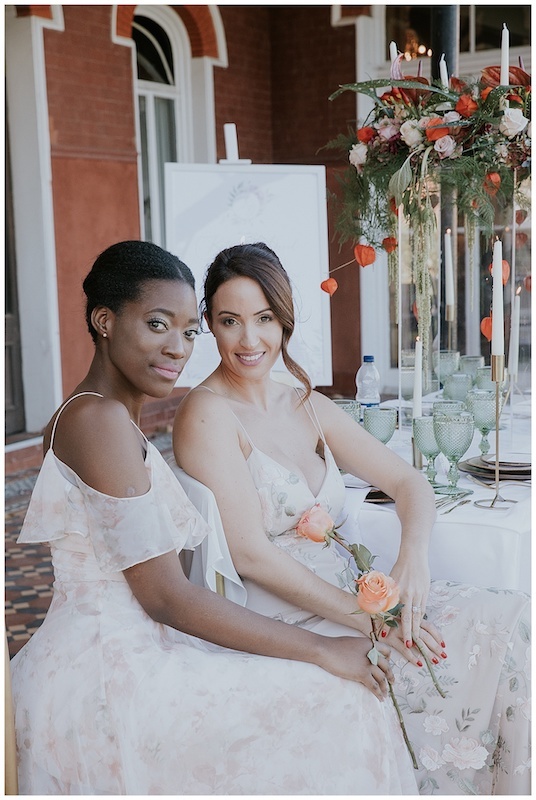 The beautiful and authentic friendship between the Bridesmaids (Thabz, Cels and Carly) personified the supportive girl gang every bride would like beside her from the prep butterflies to ‘I Do’. 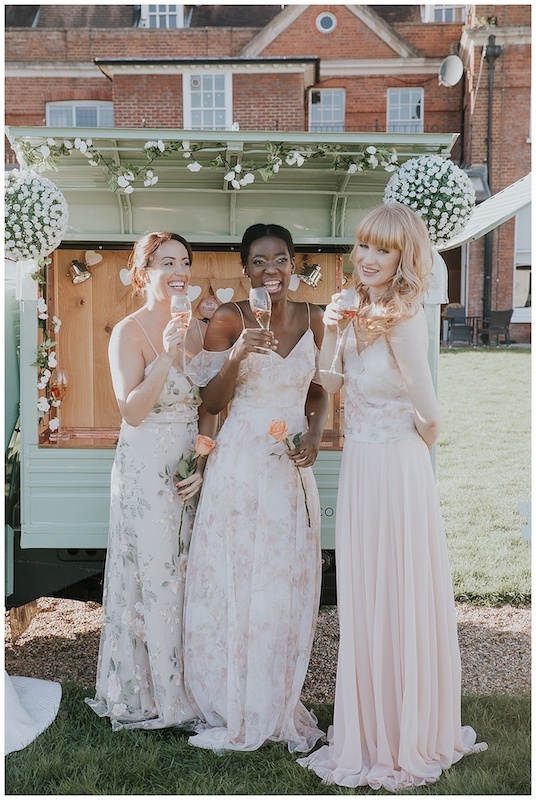 If you are looking for Not Another Boring Bridesmaid Dress, the bridesmaid dresses by NABBD provided floor-length dresses in a floral and blush shade to compliment a soft and romantic look. 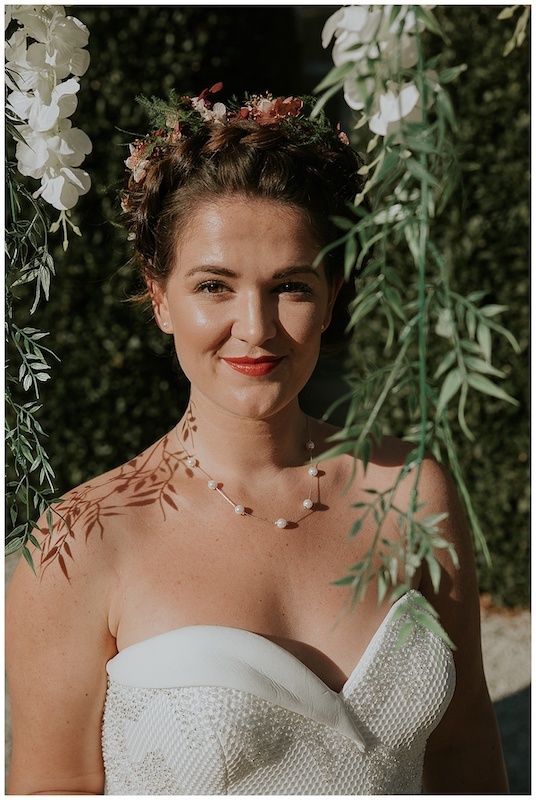 The braided hairstyle was a versatile wedding look created by Hair by Meagan who incorporated some subtle florals to match the bouquet. 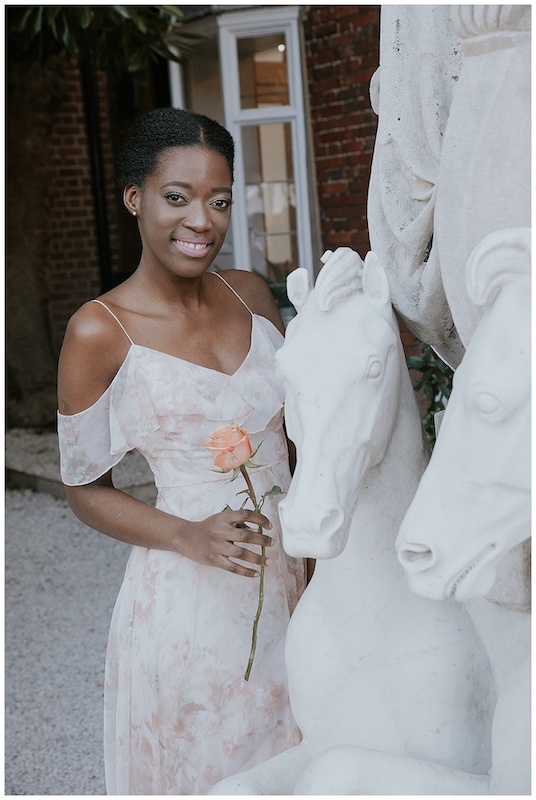 Jenny Ojo MUA led the make up concept by rolling out the signature red lippy to showcase a lovely pop of colour in collaboration with Laura Messina to bring to life each make up look. 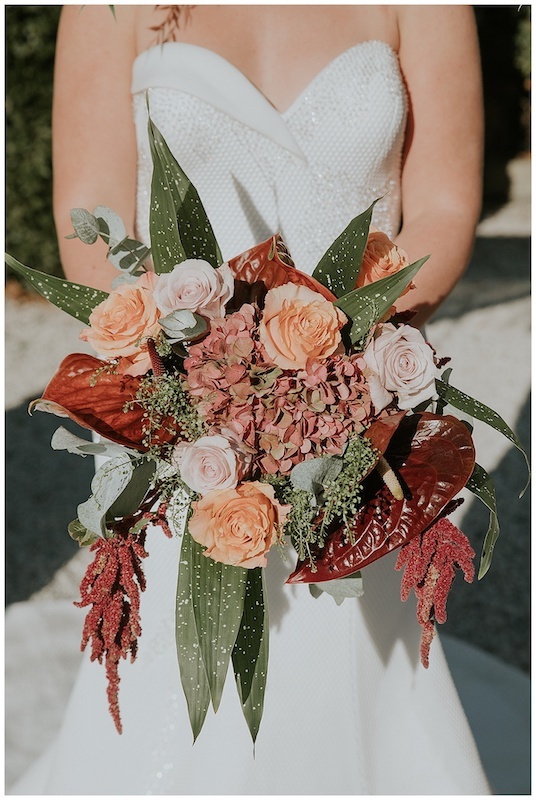 Blakes of Bookham flowers provided bold floral arrangements and bouquets which brought a beautiful connection with nature and the picturesque outdoor setting. 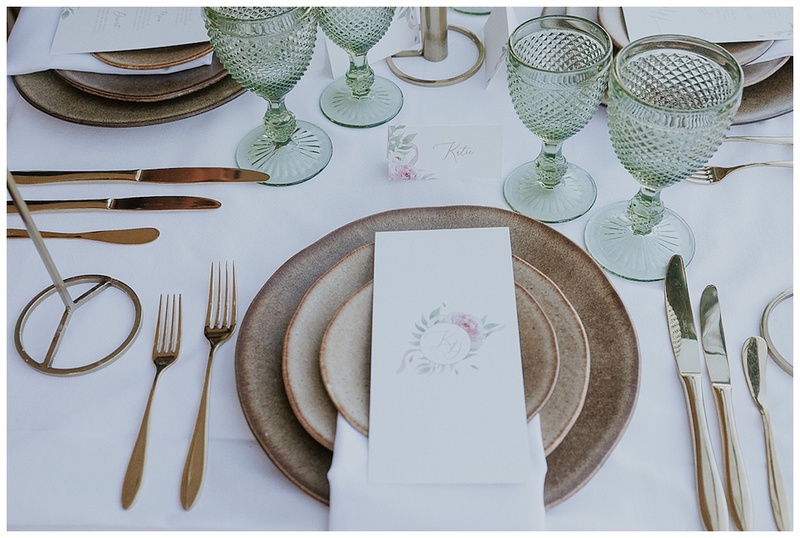 Tableware and crockery by Classic Crockery were a delightful accent with the Rustico Collection dinner plates which in itself, inspired by nature with a brown textured finish and irregular shape; made a lovely alternative to traditional formal dinner wear. 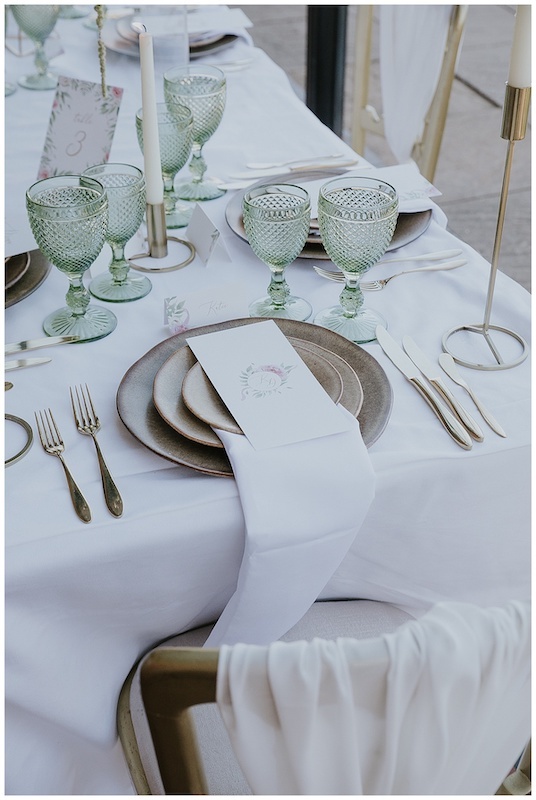 The vertical drop sashes supplied by To Have & To Hire for the chairs, helped create an elegant and refined look. 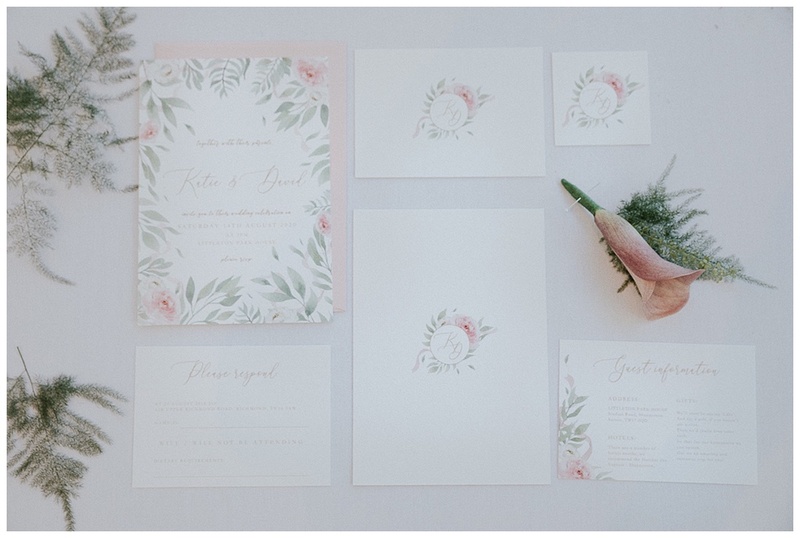 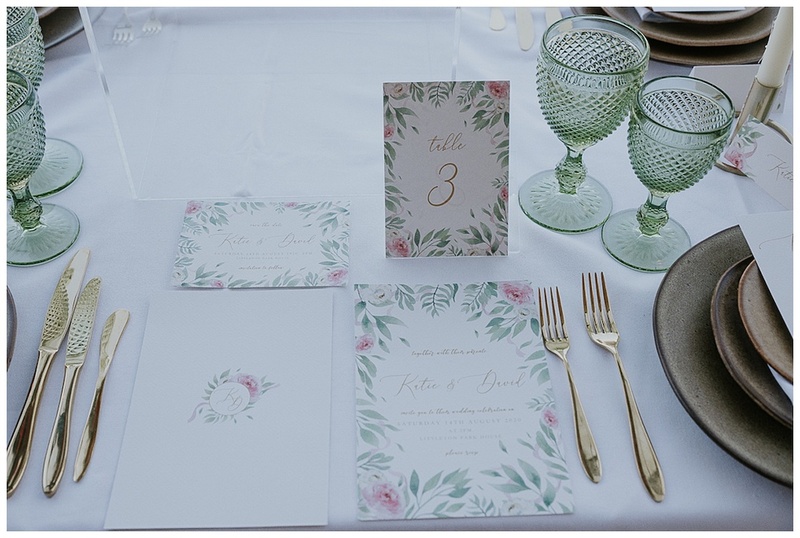 The stationery suite offered an abundance of greenery and a nod to the setting, designed by the Stationery Garden it also incorporated delicate floral detail. 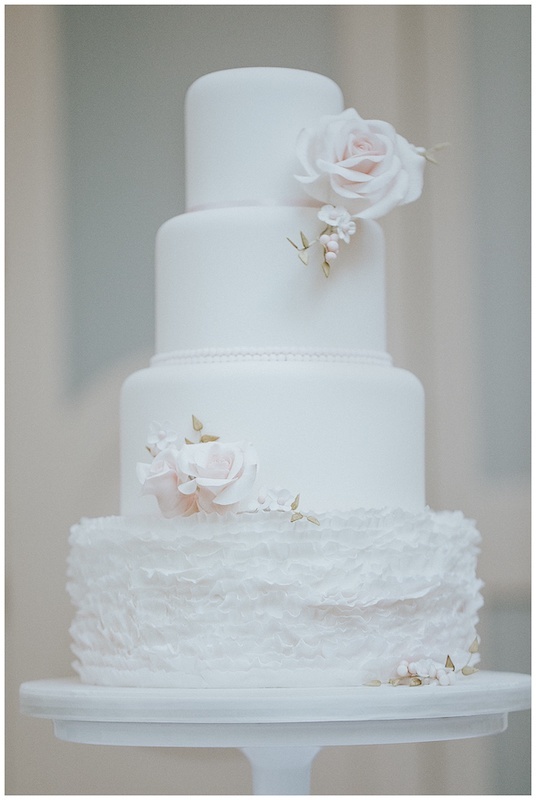 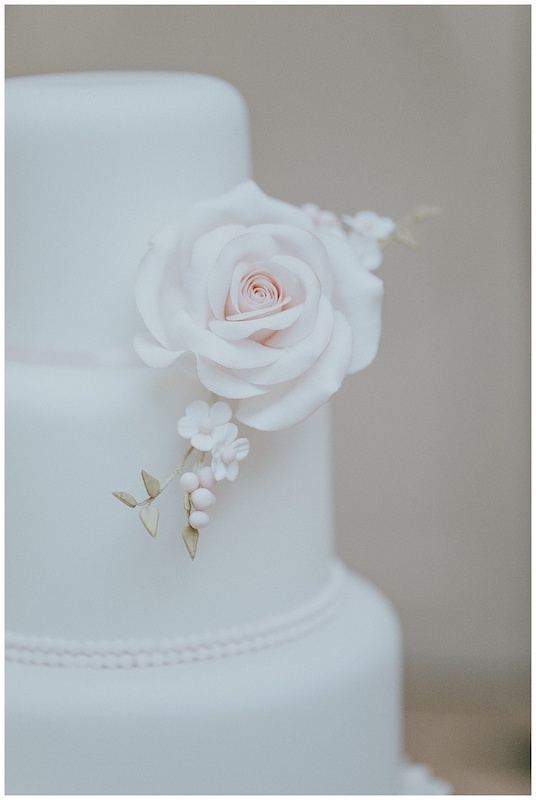 The exquisite 4 tier cake had a subtle mix of delicate ruffles and intricate sugar flowers created by Little Sugar Box to give an elegant warmth for a romantic outdoor wedding setting. 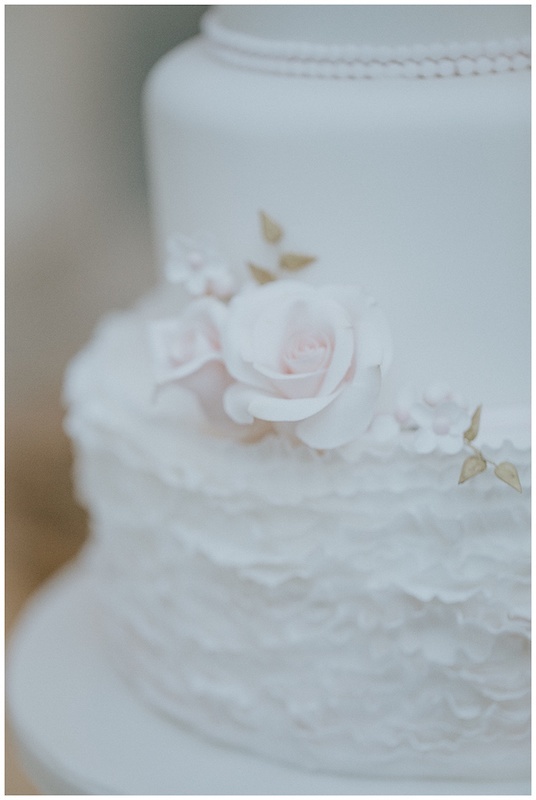 For a unique and fun touch we featured a range of props on the day. 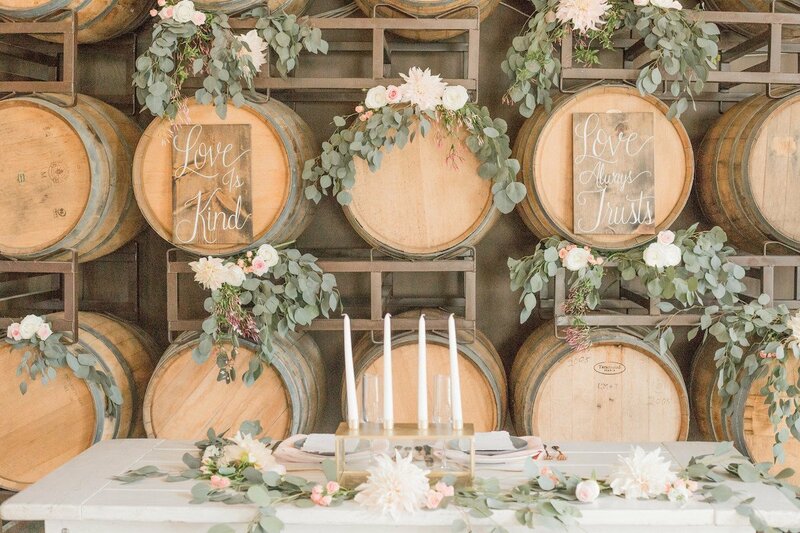 They all showcased a beautiful backdrop for a special wedding day. 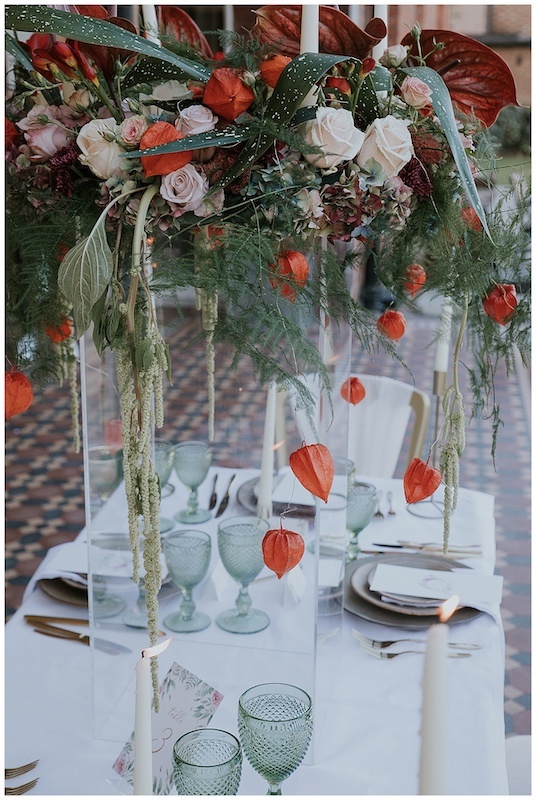 GB Elegant Events complimented the stunning décor with several decorative props including the candle holders and plinth for the table arrangement and floral garland across the swings. 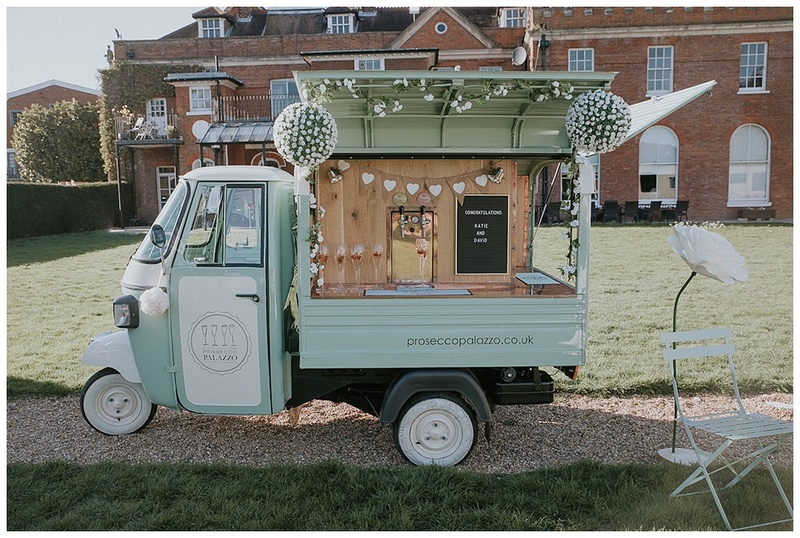 For a grand ceremony entrance we used the freestanding doors designed by Peacock Prop Hire for the unveiling of the bridal party. 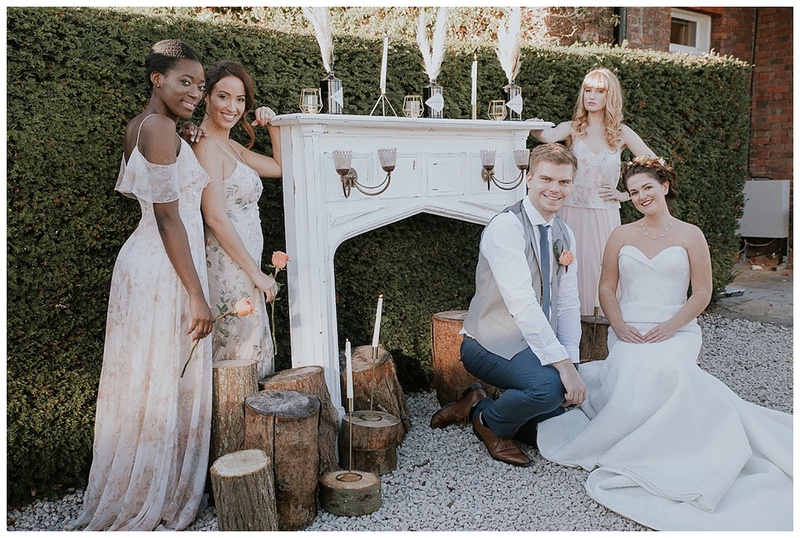 They also provided the wow factor for this setting with a cosy place to relax around the fireplace for a romantic and dreamy feel. 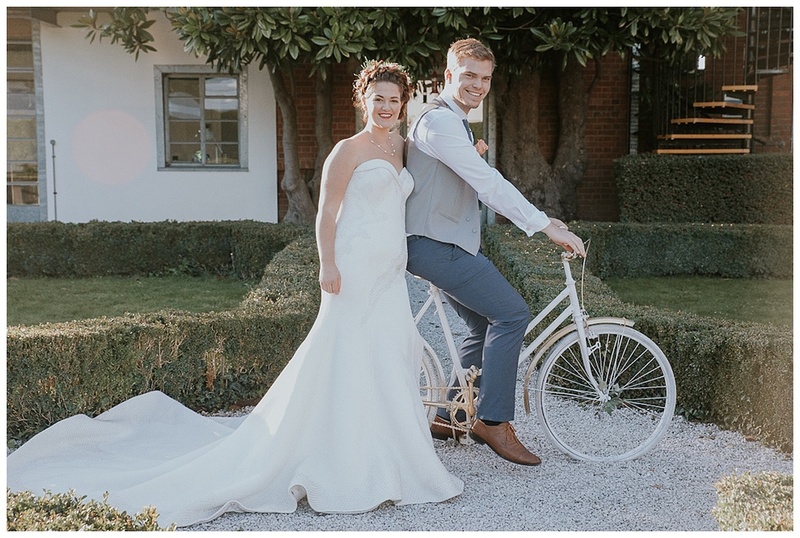 The Vintage bike by Greige Stories reflected a quirky way for the Groom to travel to the wedding in style. 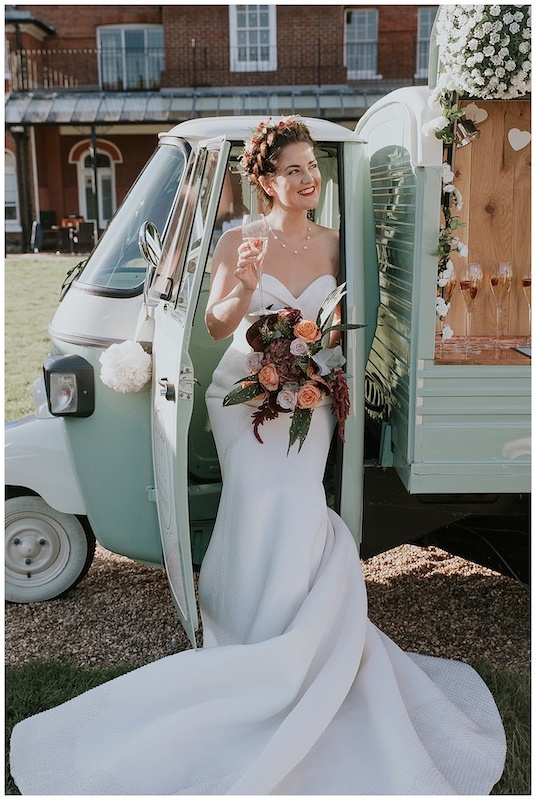 The bike was the perfect prop for a keen cyclist with a love for the outdoors. 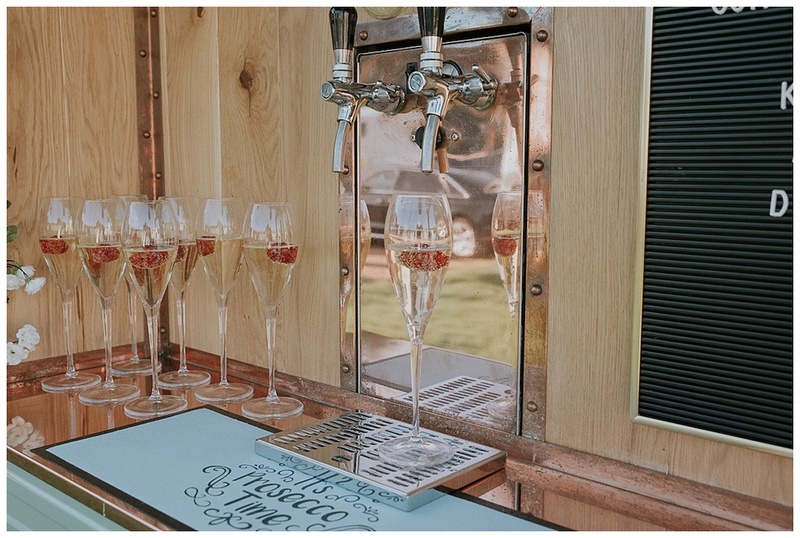 Prosecco Palazzo provided the bubbles with a mobile bar, probably the cutest vehicle for an outdoor setting for some prosecco on tap. 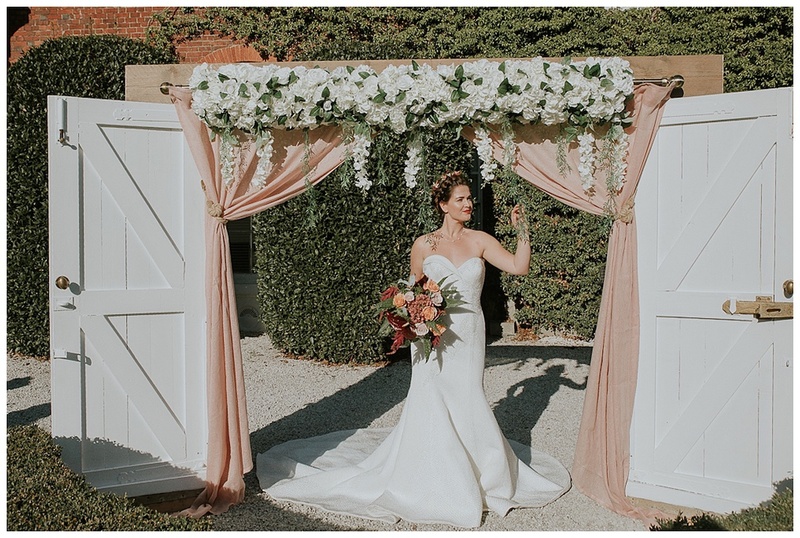 What better way to add a playful element to your wedding day than with some outdoor swings. 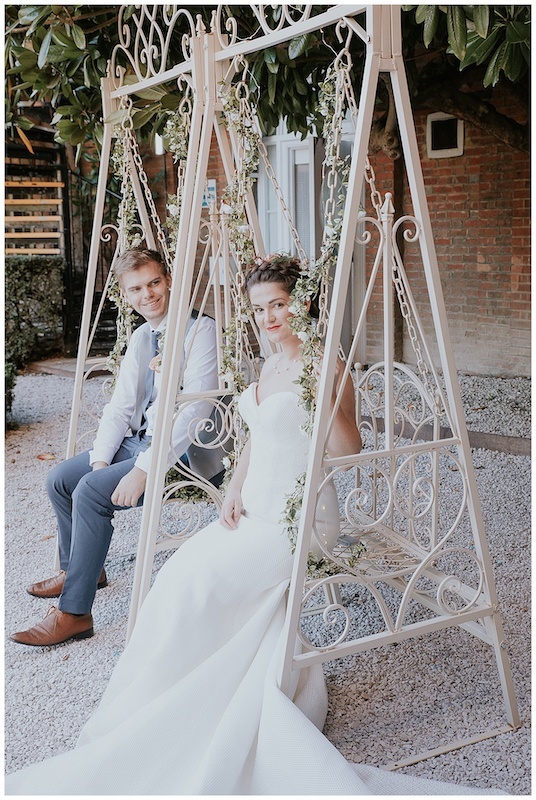 The beautiful swings supplied by the Vintage Iron Company made a lasting impression in keeping with the outdoor relaxed vibe. 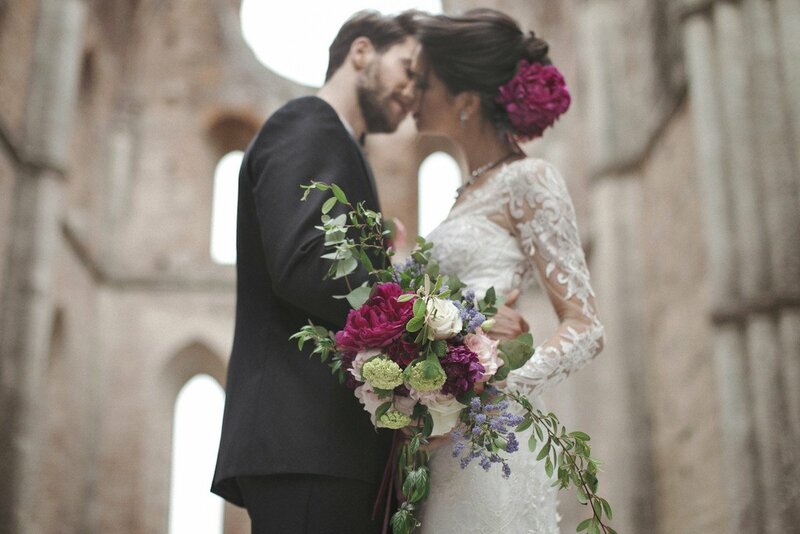 A huge well done to all of the amazing suppliers who worked so hard to put together this beautiful shoot.